It looks like not only is the WSJ and the Kobo App store relenting to Apple, but so is Amazon. In the latest release, they’ve pulled out the link to the Kindle Store. The remaining holdout? Google. You can read any NOOK Book you have purchased on this updated NOOK for iPhone app, however the Shop link has been removed so to buy NOOK Books from your iPhone, open your Safari browser and go to nookbooks.com. 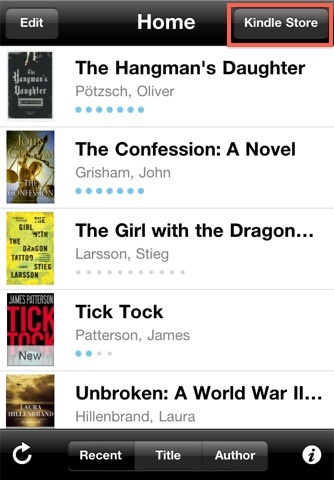 What’s New in Version 2.8 • This update removes the Kindle Store button from the app. • Read over 100 newspapers and magazines including The Economist and Reader’s Digest with high resolution color images. Visit the Kindle Store to subscribe to a newspaper or magazine and have each edition automatically delivered, or purchase individual issues. • Customers who receive newspapers and magazines on Kindle can download recent editions to their iOS devices from Archived Items. Many newspapers and magazines are supported, and more are on the way. • Share quotes and passages with your friends and followers on Facebook and Twitter while reading.